With Khmer New Year approaching, the Ministry of Tourism on Wednesday issued a directive urging local authorities and businesspeople across the country to work together to help local and international tourists enjoy themselves during the holidays. The directive says provincial tourism departments must cooperate with local authorities to protect tourists, ensure social order and guarantee visitors have parking space. Provincial tourism departments must cooperate with tour operators to improve the quality of tourism products and prevent drug trafficking, the directive says. Likewise, tourism departments are asked to work with local authorities to promote the local tourism sector and keep cities clean. 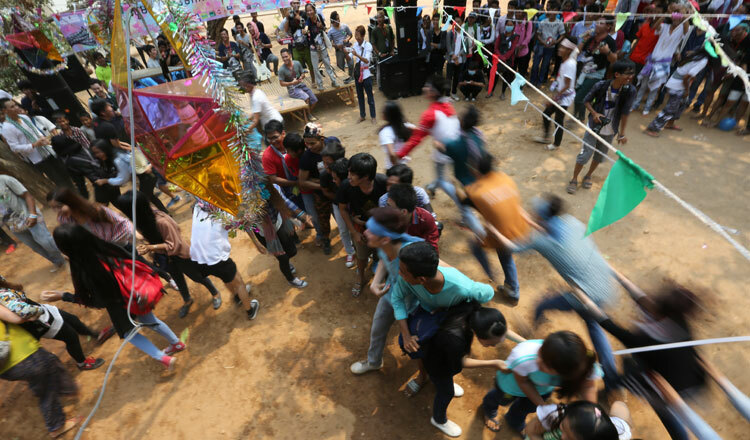 According to the directive, the departments of Culture and Fine Arts and Education will prepare the Sankranta events, which are organised to celebrate Khmer New Year and showcase Cambodian culture. Meanwhile, the Department of Environment and Health will work with local business owners, particularly restaurants and canteens, to properly dispose of waste and maintain cleanliness. Khmer New Year falls on April 14-16.